It was a cold and chilly morning in Chicago, the time was 10:30 a.m. and the date was February 14, 1929. This day would not only mark one of the most brutal mob killings in history, but it would also end the North and South side battle for power. 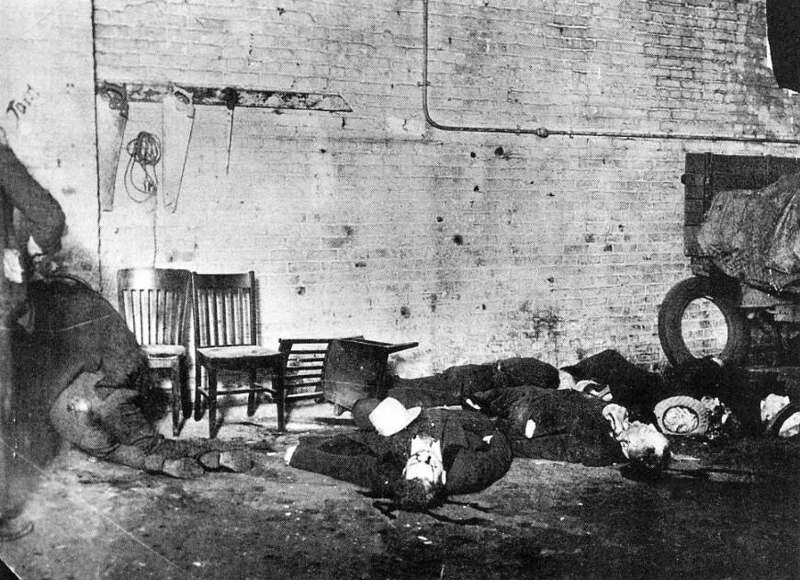 A battle that dominated the Chicago underworld for years and saw over 200 mob murders. Some of those victims included North Side leaders, Dean O’Banion and Hymie Weiss. The roaring 20’s was filled with drive-by shootings in broad daylight, and liquor hijacking attempts during the night. The North and South of Chicago were at war with each other, struggling for territory and power. 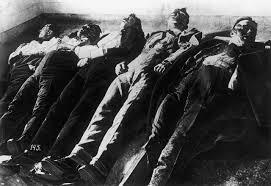 In particular the period from 1924 to 1928 saw a number of killings. First, Dean O’Banion, the 32 year old North Side leader would fall victim to Capone. O’Banion already had strained relations with the South Side, but the final straw for the South Side came when O’Banion learned that the police were planning to raid The Sieben Brewery, a place that he and South Side front-man Johnny Torrio, held large stakes in. O’Banion decided to set Torrio and Al Capone up to take the fall by selling his shares for half a million dollars to Torrio. Torrio accepted the offer and was arrested along with Capone and six other south side members. O’Banion, well, he walked away free, but his luck had just ran out. Capone hitmen by the names of Frankie Yale, John Scalise and Albert Anselmi assassinated O’Banion in his flower shop in November 1924. A few months later in January 1925, Johnny Torrio, was in his car travelling back home with his Wife after a shopping trip. Suddenly out of nowhere a hail of gunfire rang out. Hymie Weiss, the new North Side leader, Bugs Moran the future leader, and mobster Vincent Drucci were the gunmen that opened fire. Torrio was struck in the jaw, lungs, groin, legs, and abdomen. Hymie Weiss was moments away from firing a fatal shot into Torrio’s head, but the mobsters quickly left the scene before they were spotted. This was in retaliation for the murder of their leader O’Banion just a few months earlier. Torrio would step down at this point, and Al Capone would finally take over the Chicago Outfit. A few months passed, and once again the North Side made an attempt at the South, this time the target was to be Al Capone himself, in September 1926. 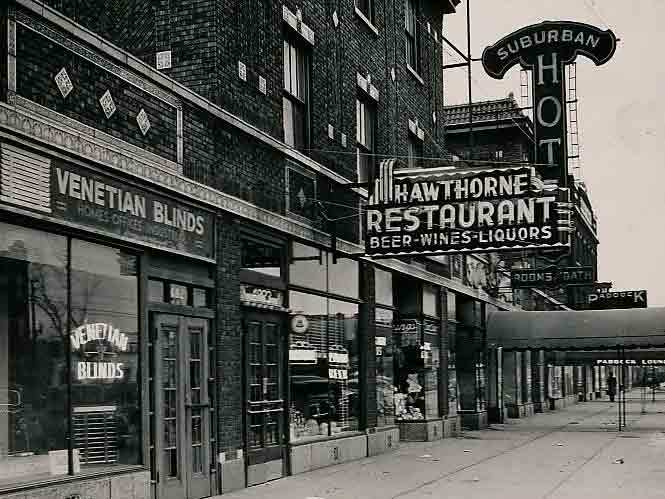 Six cars drove by the Hawthorne Hotel in Cicero, where he and his crew were having lunch. Thousands of bullets blasted through the glass windows and into the walls. North Side enforcer Frank Gusenberg, jumped out the fifth car and stood in the front doorway and unloaded a 100-round drum from a tommy gun into the restaurant. Just as Torrio miraculously survived months earlier, so did his protege, Al Capone. Enough was enough, just one month later the South Side decided to make a move. However, the difference being that the South would do what the North couldn’t, and that was to hit the mark. 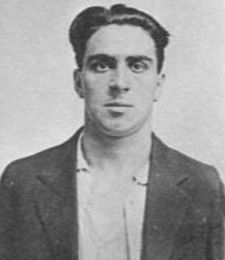 In October 1926 the 28 year old Hymie Weiss was machine-gunned down by two of Capone’s gunmen (one of which was said to have been Jack McGurn). Weiss was taken by surprise and had no idea where the gunmen were. He was fatally hit, and began to fall onto the sidewalk, but as he did, his confused bodyguard drew his .38 and fired off shots in the general direction of the shooters. Unfortunately, in the blind panic he accidentally shot an already fatally wounded Weiss. By the end of 1926, two South Siders had somehow survived hits, and two North Side leaders had been taken out. 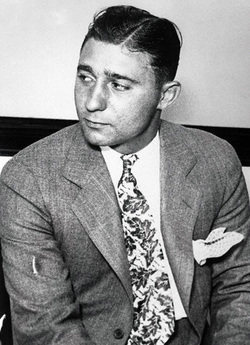 Bugs Moran would now take control of the North Side as we moved into 1927, but he wouldn’t have Vincent Drucci by his side for long, the 29 year old was killed by the police in April 1927. The final straw for Capone came in 1928 when a couple of events unfolded. 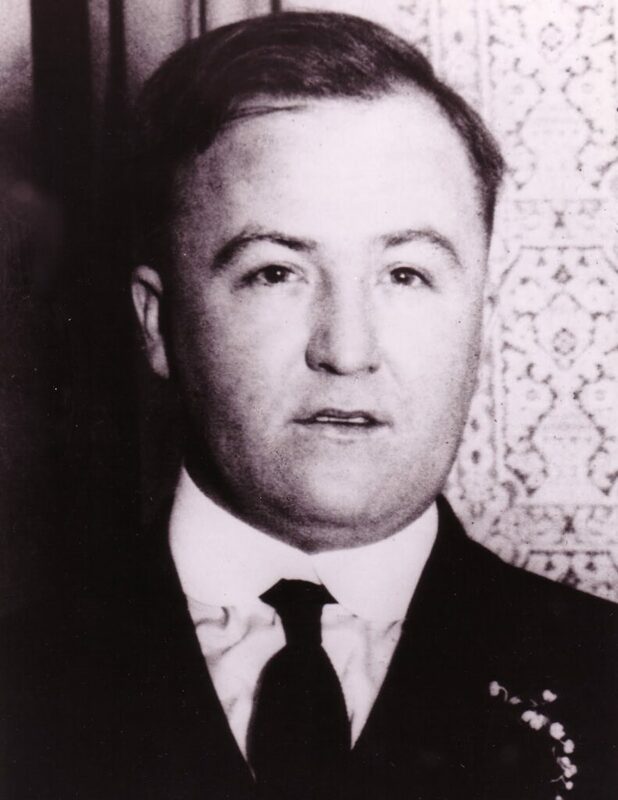 The first was when Jack McGurn, a key member of the Chicago Outfit, survived several attempts on his life, that were ordered by Bugs Moran. 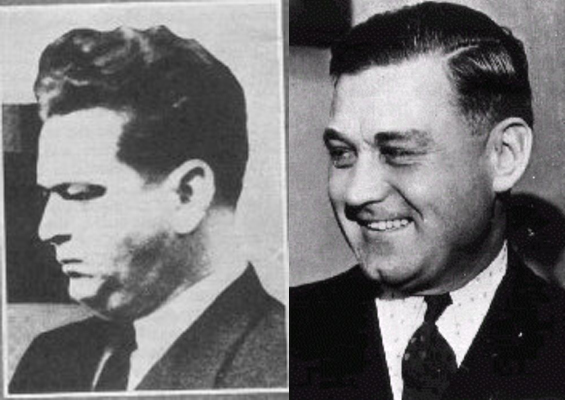 The second was when Bugs Moran formed a partnership with Capone rival Joe Aiello, and organised the death of Unione Siciliana president for Chicago, Antonio Lombardo in late 1928, and also Pasqualino Lolordo in early 1929 who took over from Lombardo. The Gusenberg brothers Frank and Pete, were said to be behind the hits on the two. Joe Aiello incidentally would also end up on Capone’s hit list, just a year after the St Valentine’s Day Massacre in October 1930. 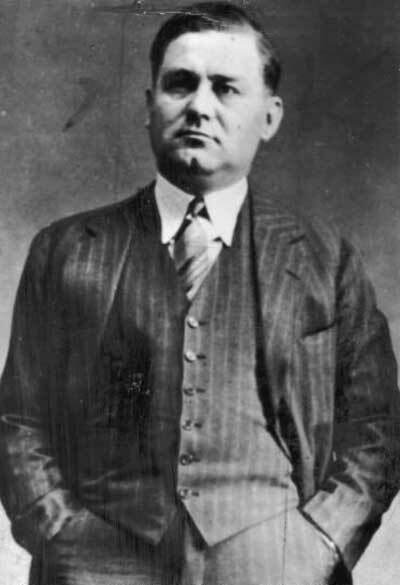 Outfit enforcer Frank Nitti is said to have been one of the two gunmen that filled Aiello’s body with 59 bullets. After the death of Lombardo and Lolordo, Jack McGurn approached Capone and together they hatched a plot to take out Moran once and for all. McGurn planned the hit very carefully and took his time to go through all the finer details. 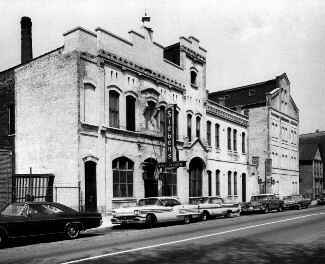 He traced the North Side gang’s headquarters back to a large garage behind the offices of the S.M.C. 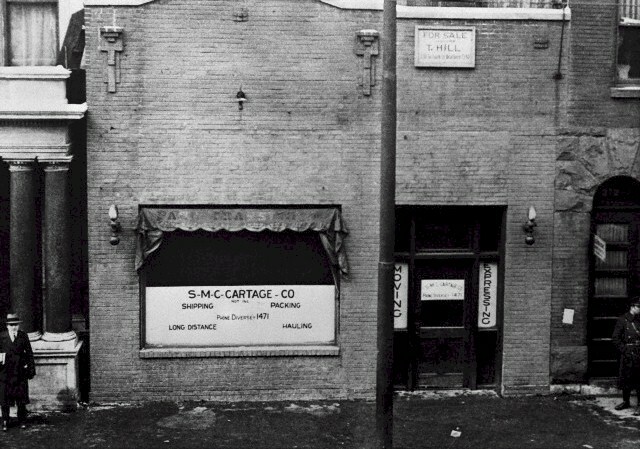 Cartage Company, at 2122 North Clark Street. McGurn then came up with the idea of dressing the hitmen in police uniforms so that the North Side Gang wouldn’t suspect foul play. Especially as the gunmen were from out of town so they wouldn’t be recognized. 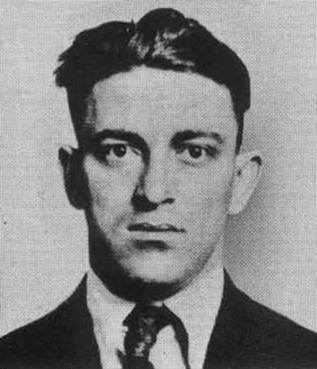 McGurn also stole a police car and two police uniforms to complete the preparation plans to wipe out another North-Side leader in Bugs Moran. February 14, 10:30am at the North Side Gang HQ. Five of the seven were North Side mobsters. The Gusenberg’s were enforcers, Adam Heyer was the bookkeeper and business manager, James Clark was Moran’s second in command, and Albert Weinshank ran some operations for Moran. 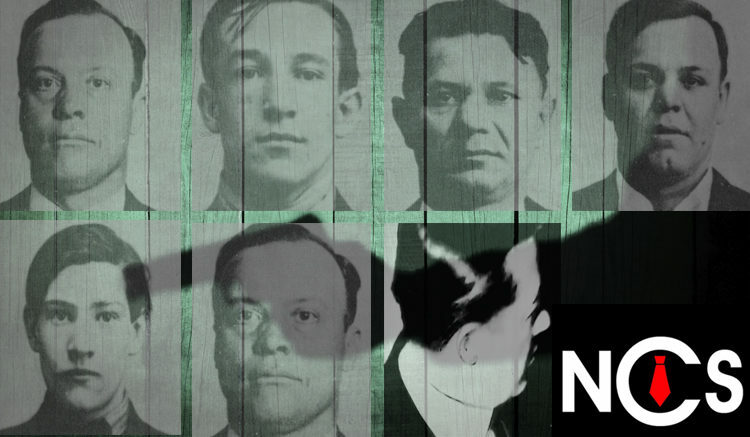 John May was a young car mechanic for the North side gang, and Reinhart Schwimmer was an optician who was associated with the gang after giving up his practice. 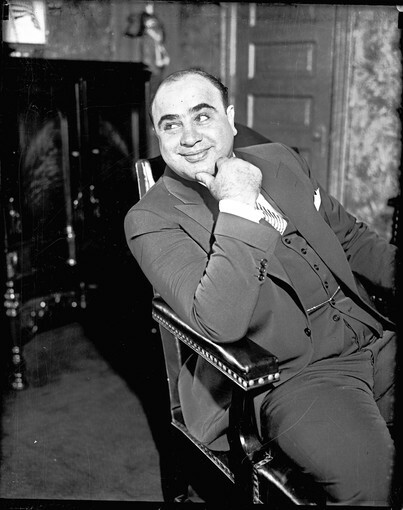 Capone gunmen believed that Moran was one of the men, but we now know he wasn’t. Albert Weinshank had a similar resemblance to Moran, right down to the clothes he was wearing. It was Weinshank that set the massacre in motion through a case of mistaken identity. And it was essentially Weinshank that would save Moran’s life without knowing. Bugs Moran was actually running late for the meeting and as he turned up he saw the police car and policemen and decided to drive-off. So on that fateful morning, 4 of Capone’s hitmen followed the 7 targets into the garage. The first two hitmen were dressed in police uniform while another 2 waited in the police car (following them in a short time after). Joseph was the brother of Pasqualino Lolordo who was killed the month previous. However, Jack McGurn, Frank Rio, Frank Frigenti, and even the up-and-coming Tony Accardo have all been suspected of taking part. Tommy guns, a sawn off shotgun and a .45 calibre pistol all directed at the 7 men. Some 150 shots were fired at them that morning, and it is believed that each of them had an average of 15 bullets in them by the end of the shooting. Two of them had been finished off with a shotgun. Some of the bodies’ heads, arms and legs had been severed. He died just a few hours later. The hitmen then walked out calmly, and according to eyewitness testimony two policemen walked out of the building with two plain clothed citizens. The two citizens had their hands on their head in-front of them, then they all got into the police car and drove off. The hit was planned and executed brilliantly, from start to finish. 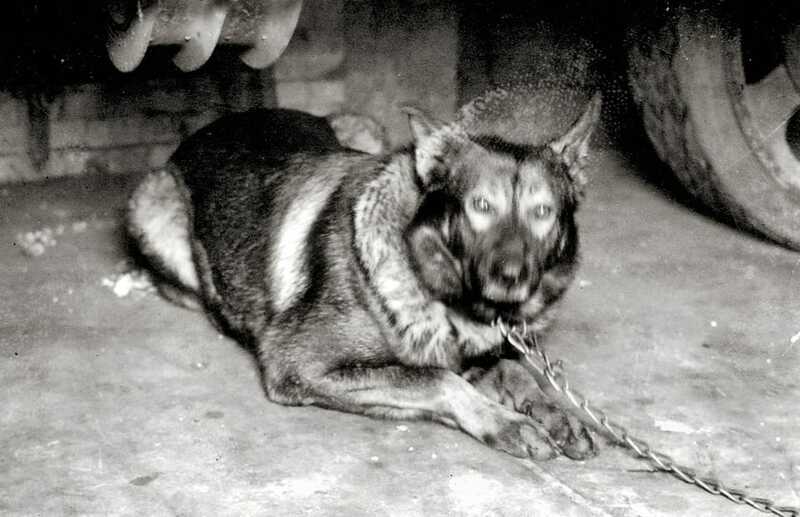 The only survivor was a German Shepherd called Highball who was actually owned by one of the victims, the young mechanic John May. Highball was trapped under a beer truck, covered in blood and shell casings, and he was the one that alerted neighbors to the garage with his howling. The German Shepherd was said to have been put down not long after the event, due to the trauma caused by the event. 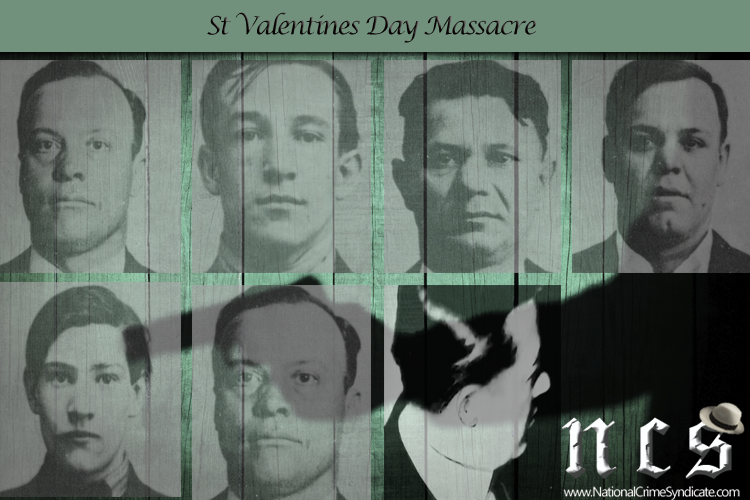 No one was ever tried or convicted for the murders of the St. Valentine’s Day Massacre. 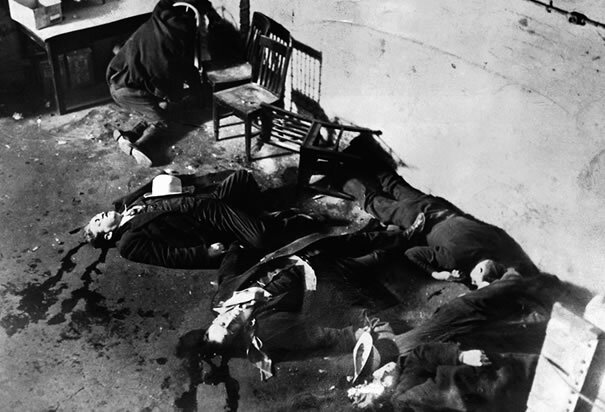 Even though most people knew that Al Capone was behind it, they could never connect him to the massacre. For Capone and Moran, this event would be the last time they would ever face-off. Capone was jailed for tax evasion charges just a few years later in 1931, and his health soon took a turn for the worse. In 1947, The Big Shot passed away just after his 48th birthday. As for Moran, well, the loss of some of his top men in that garage in 1929 made it hard for him to keep control of his territory. He would eventually die in 1957 at the age of 65 from lung cancer. He died with just $100 to his name. 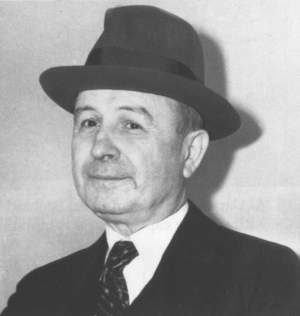 In 1932 Frank Nitti would become the Outfit front man, many say that he was simply an acting boss for the next 11 years, and Paul Ricca was the real man in charge. Although many accounts disprove this and confirm he was Capone’s successor, he was more experienced at the time than the younger Ricca, and already had a strong reputation. The North Side gang kept going until the mid to late 1930s, but then became inactive until the late 1940s due to most, if not all, of it’s main gambling operations being soaked up by the new National Crime Syndicate. 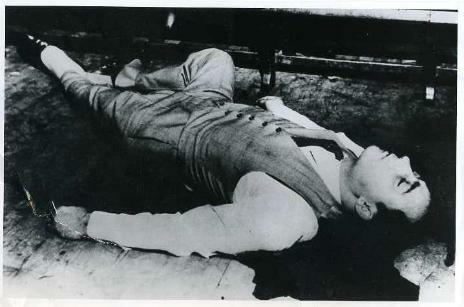 As for Jack McGurn, he was assassinated by three men using machine guns on February 15, 1936, one day after the seventh anniversary of the St. Valentine’s Day massacre, at a Bowling Alley. Moran was said to have been behind the hit.